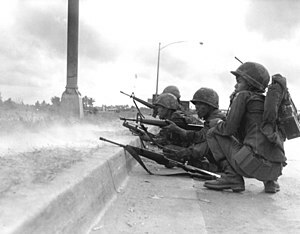 THE WHOLE WORLD IS WATCHING- Pacifica reporter Dale Minor covering the Tet offensive and fighting in Vietnam. RETROSPECTIVE BROADCAST: KPFA, March 1979…. This entry was posted in Asia, Audio, History, US Military, Vietnam, War and tagged KPFA, Pacifica, Tet Offensive, Viet Cong, Vietnam, Vietnam War. Bookmark the permalink.